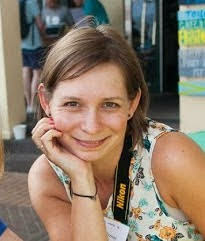 Today, we are interviewing Silke Elzner from Sydney, Australia. Silke has been blogging since 2000 and started with a personal blog. She now blogs about a wide range or topics and even owns a book review website. She uses our Spike theme because it gives her blog a vibrant look and also helps her gain more pageviews because of the way relevant content is displayed on the posts. I am a travel and lifestyle blogger based in Sydney, Australia. On Happiness And Things I blog about stuff to do around the city, things that interest me and my travels. My very first website was started, I think, in 2000. I didn’t really have much to say, so I just made it a website about myself. I got funny emails back then, asking me why I would consider myself a topic to be talked about in public, self-promoting myself. Some were even a bit hostile. That was before there was Myspace, Twitter, Facebook, WordPress. I then started something with a topic, book reviews, which is still alive today, after more than 12 years. And my current project has been alive since early 2014. I Googled for themes that would be responsive and would have a design that would satisfy my needs. I found MyThemeShop looked very reliable and supportive, so I thought I’d give it a go. It was really down to the Theme that I fell in love with, which is Spike. It was exactly what I was looking for – the slider, the responsive design, the magazine-style set-up, the feature images… very clean and search engine friendly. It took me a while to find the right design, but once you have it – you really enjoy working with it. I use Spike for this particular blog. As said before, it comes with all the features that I need to showcase my photos and writing, plus the colour-theme is very friendly and cheerful, exactly what I want to portray with my blog. I like the fact that readers are constantly encouraged to dig deeper, to look at older articles and articles that they haven’t even thought of in the first place. I am using SociallyViral for my book review blog. It’s a bit of a compromise and not exactly what I need. Someone needs to put out a good book review template that would store the book meta information such as ISBN etc in a neat way, then also help monetize the site. With social features too, so that you can grow a community. With some flexible set-up this might be of interest to other review sites too, for gaming and app, electronics etc. Maybe something the MyThemeShop would like to work on in the near future? Can’t live without Google Analytics. You need to understand your audience. I am very happy with the Spike theme I picked from MyThemeShop for my Lifestyle and Travel Blog Happiness & Things – it’s a wonderfully sleek, modern and cheerful design which not only showcases my photography but also entices the reader to dig deeper and discover new content. Plus, the team behind MyThemeShop is always friendly and very helpful. There’s nothing worse than committing to a product and then lacking the support. Rest assured that with MyThemeShop you are in good hands. Thanks a lot Silke, for sharing with us.